It’s almost inevitable that Springvale South and Buckley Ridges will play out a few more thrilling battles this season. Their first encounter of the season in Saturday’s Round 5 one-dayer went down to the final over – and it couldn’t have been scripted any better. The Bucks had a bat first at Alex Nelson Reserve, and the Bloods snared two key scalps early, sending the dangerous Daniel Watson (12) and classy Susa Pradeep (10) back to the sheds without inflicting much damage. Gun Kiwi Greg Todd (61) looked in fine touch, and combined in an entertaining 63-run stand with Troy Aust (30), and eventually, the Bucks reached a highly competitive 5/183 off their 40 overs. Malinga Bandara (1/22) was highly important with eight tight overs for the Bloods, while seamer Tim Ford (2/34) did the bulk of his damage in the early part of the innings. Michael Vandort (18) and Nathan King (52) ensured the Bloods could muster up plenty of momentum with the bat, compiling a strong 61-run opening stand before Vandort was undone by Matthew Goodwright (1/25), who trapped the left hander in front. The Bloods continued to move things along, but the wicket of King sparked a mini-collapse, and suddenly, it was game on as the home side found themselves 5/143. The wise veterans, Craig Slocombe (26 not out) and Steven Spoljaric (59 not out), knew exactly how to handle the situation, finding the boundaries when they needed to be hit, and the pair soaked up plenty of pressure to leave the equation with six balls remaining and four runs to win. With Bucks champ DJ Watson steaming in, Slocombe found the straight boundary off the first ball of the over, giving the Bloods early bragging rights. Twin centuries, meanwhile, to Nathan Pilon (123) and Jordan Cleland (111) helped set up a comfortable Berwick win against St Mary’s. The opening pair devastated the Saints, helping the Bears notch up 5/270 despite Ruwantha Kellepotha’s (4/35) brilliance with the ball. 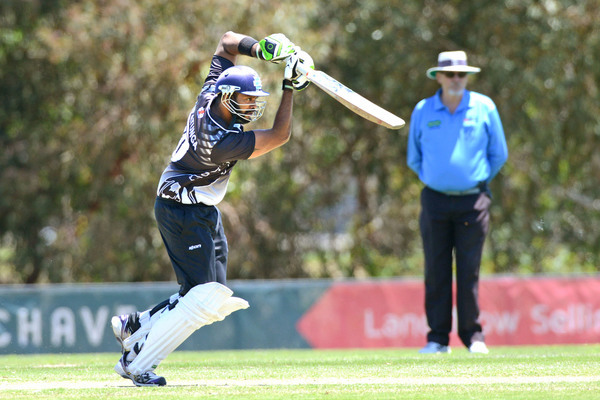 Pilon is no stranger to devastating centuries, clubbing his fourth triple figure score for the Bears, with the former state player in ominous touch before Christmas, while Cleland scored his first century at the club, and in the DDCA, to cap off what has been a solid start to the season for the former Cranbourne premiership player. The Saints fought hard to finish on 8/223 off their 40, but ultimately couldn’t recover after losing a clump of wickets early. Mordialloc finally broke through for their first win of the season, showcasing the form that is expected from the powerful reigning premiers. Off the back of gun opener Brendan Morris (89 not out), the Bloodhounds raced down HSD’s 175 with ease, notching up their first points of the season just three wickets down. The Cobras clawed their way to 8/175 off their 40 overs, with James Van Elewoud finding some form with 54, while Suraj Randiv impressed in the middle order with a well-made 36. Ian Daniel (3/28) was the pick of the bowlers for the Bloodhounds. But, Morris, who also picked up a brilliant 95 earlier this season, was once again a rock, with the rising opener combining well with the likes of Ryan Morris (35), Ian Daniel (20) and Nuwan Kulasekera towards the end of the innings to guide the reigning premiers to a comfortable win in the end. And Hallam Kalora Park (6/217) held off North Dandenong (169) at Lois Twohig Reserve to pick up a much needed win and draw within breathing distance of the top four. Meanwhile, in Turf 2, it seems to be all about the three Narre’s, who occupy the top three spots in the ladder…and by a fair margin. The class and experience of the Lions’ middle order took its toll on the Westers, with skipper Scott Phillips (78 not out) putting the visitors to the sword with a brutal knock that included four maximums, as the home side posted a mammoth 5/277 in 40 overs. 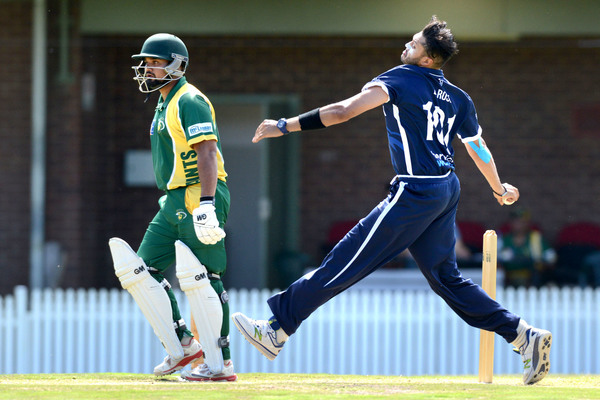 It seemed destined that an upset was brewing despite losing an early wicket, with Tyler Brodie (38) and Vaib Deshpande (54) putting on 101 runs for the second wicket, but the key scalp of Deshpande proved to be the downfall, bowled out for 175. And in Turf 3, Keysborough knocked over ladder leaders Beaconsfield in a brilliant display of cricket on Saturday, in a low scoring belter. In other games, Fountain Gate (6/164) defeated Lyndale (9/131), while Parkfield (3/71) knocked over Silverton (70), while Coomoora (1/127) thumped Lynbrook (126).